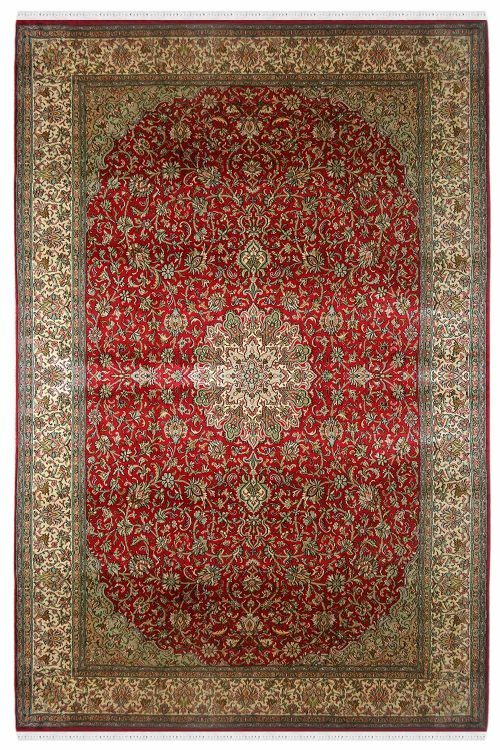 Beautiful with an extremely detailed pattern in this handmade Kashmir silk carpet showing a unique look. 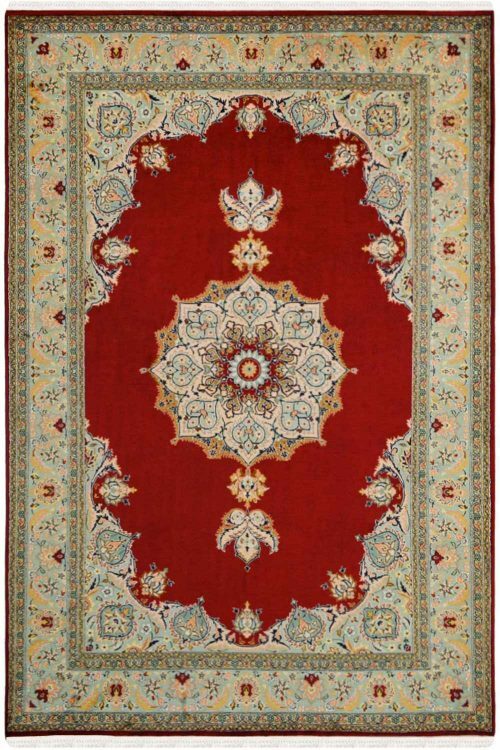 Beautiful handmade with an amazing pattern in Kashmir silk carpet .it takes 6 months to weave this carpet. 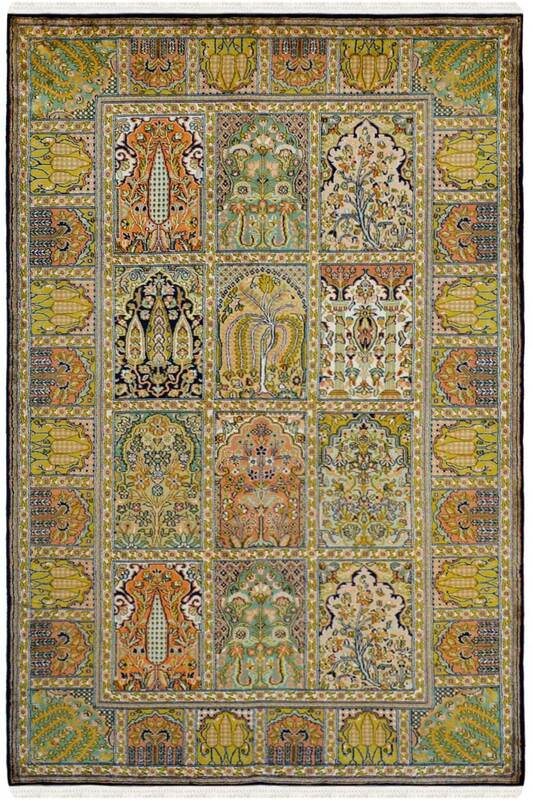 It has an extremely detailed pattern. 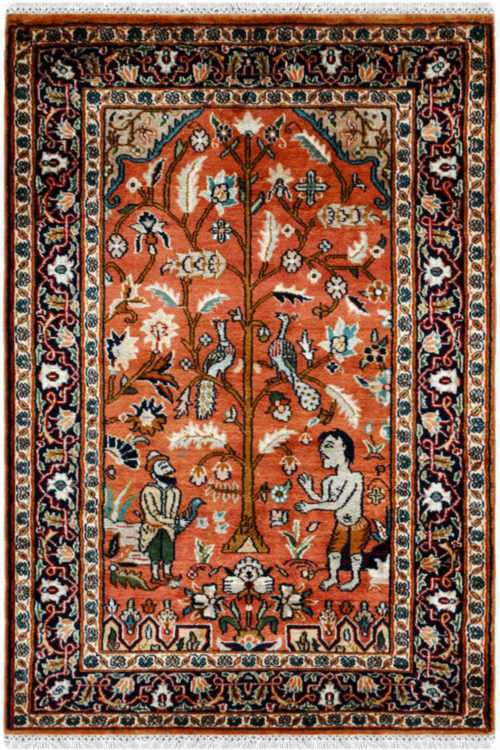 Number of knots in this carpet are 324 per square inch. 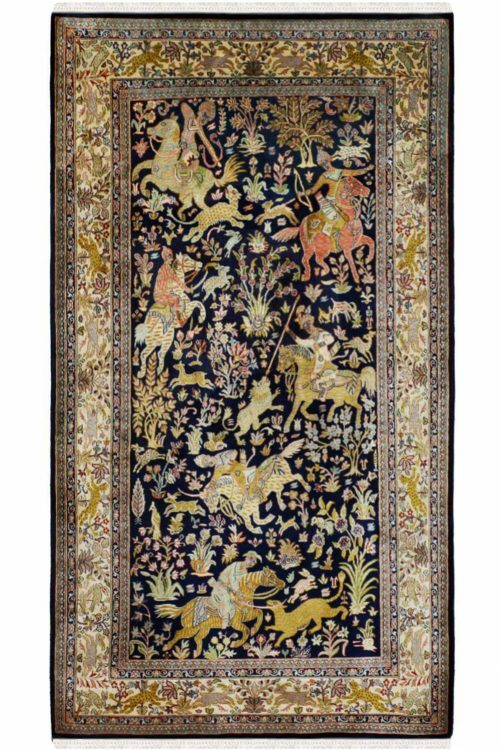 The main colors are mixed green.This rug is Handmade in the cotton base and has pure Kashmir Silk on top.